July 22, 2011 was the day the world changed for Norway. In a country which had never really seen terrorism, first a bomb exploded in the government building, then the terrorist attacked students at a summer camp hosted by Norway’s Labor Party on the island of Utøya in the Tyrifjorden lake, 24 miles northwest of Oslo, killing 77 youths. The country was in shock, going through the bloodiest chapter in its history. Unlike Paul Greengrass’ “American” version of the event (22 July), Norwegian director Erik Poppe never shows the terrorist, Anders Behring Breivik, and tells the story from a much less exploitive point of view. 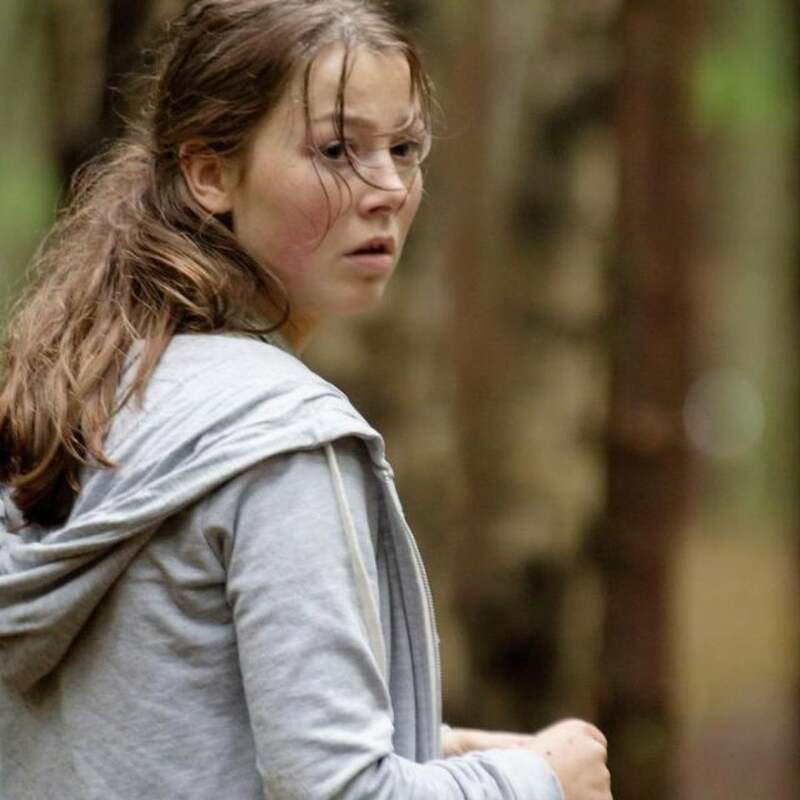 Here, the tragedy is seen through the eyes of Kaya, played by Andrea Berntzen, a responsible teenager who is mature beyond her age and so ambitious she wants to become prime minister of her country. She and the group of teenagers are enjoying their time on a beautiful day. They hear about the bomb going off in Oslo and figure they are in one of the safest places. Kaya even gets frustrated when her sister Emilie (Elli Rhiannon Müller Osbourne) does not take the news from Oslo seriously. Then the shooting begins, and the sisters are separated. In stark contrast to Americans, who are now so used to gunshots that they even mistake the noise of a barrier crashing down at a concert for gun violence, these youngsters are completely taken by surprise and do not connect the sounds with what is really happening at first. A gunman interrupting and destroying their lives is so out of their experience that they scramble to make sense of it even as the tragedy unfolds, unsure of how to react. They are fleeing for their lives, desperately trying to find shelter, any safe place to hide and escape death. Even then, they are unsure of what exactly they are running from. The filmmakers capture their utter confusion and disbelief. That the 32-year-old terrorist is wearing a police uniform only exacerbates it. The film employs the old 24 TV series device of telling a story in real time. Shot in one single take, it reminds the viewer of the verité-style movies from the 60s and 70s. The terror, confusion, and mayhem of the massacre are amplified by the use of a hand-held camera. Audiences are out of breath watching the kids run for their lives. The director took great care to be as sensitive and respectful as he could and shows great empathy for his subject. This transfers to the viewer. We cannot and will never be able to understand people and especially young girls and boys being gunned down by a madman, calling their parents from their mobile phones to say goodbye, in this senseless act of violence. To this day, the far-right offender who is incarcerated, cannot explain his unspeakable crime. Make no mistake: the film is harrowing and leaves a deep impression precisely because the director never shows the perpetrator and we are left to emphasize with the victims.